Brands earn their reputations over time by delivering products and services customers can rely on. However, things change. For instance, in generations past, one of the biggest brand names was Sears. Today, it’s Amazon. So why do some brands fade while others rise from nowhere? Let’s take a quick look. Sears ignored evolving technology and brand expectations. When customer expectations and technology are moving faster than your brand, you’d better respond, and do it quickly. If you don’t give customers what they want, they’ll leave you behind. Sears attempted to grow at the expense of their core value. For years, the Sears brand was infamously known as the place to find great products and quality service. Today though, Sears is no longer associated with either of those. Sears fell in love with growth, but in the process, it lost sight of why people trusted, loved, and respected the brand. Is our brand providing benefits that enrich, enable, and enhance people’s lives? You can’t create a meaningful brand if you don’t take the time to understand who your customers are, what they care about, and where they want to go. Are the benefits we offer what customers truly want? Most companies consider innovation creating new features or functionality. But if the features or functionality don’t enhance, enable, or enrich the customer experience, it’s not innovation. It’s unnecessary complication. Can people get the value-enhancing benefits that we offer somewhere else? If they can, and that alternative also offers something you don’t, your brand loses. Ultimately, the sum of your brand’s value-creating benefits must be greater than your competitor’s. In short, brand admiration is achieved when your company becomes part of who people are and what they stand for. Once customers trust, love, and respect your brand, lasting admiration follows. 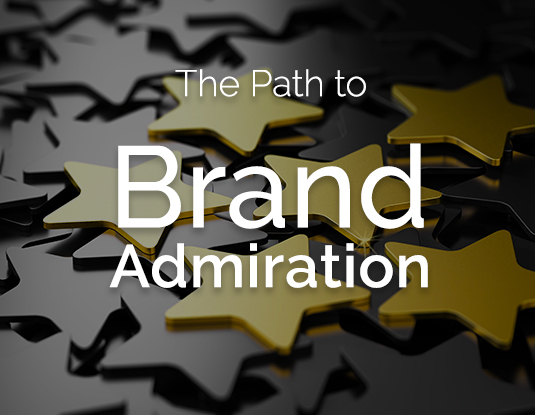 Based on Brand Admiration Is Earned, Not Given: Here’s How to Make It Last Forever by Josh Zywien.